Hi. 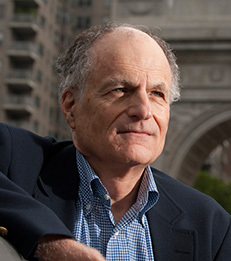 I am Tom Sargent, an economist at New York University. I teach PhD courses in macroeconomics and time series econometrics. At NYU, we have a very strong graduate program with students from all over the world who form a remarkably talented group. Within the very best of this strong group of students, I recently learned that two of them, namely, Daniel Csaba and Balint Szoke, were students in Applied Economics at Eotvos Lorand University in Budapest. Daniel and Balint performed at the top of my PhD macro class. Both have fine minds and approach economics with discipline, care, and precision. Both are attracted to challenging research problems. Among our entering PhD students that year, Balint and Daniel were especially well trained and prepared in mathematics and the foundations of economics. (Few of our students are as well trained as Daniel and Balint were upon arrival at NYU.) I mentioned this to Balint and he credited his undergraduae training at Eotvos Lorand University. Therefore, I wanted to pass along a thanks and congratulations to the teachers in the applied economics program at Eotvos Lorand University for what they gave to Daniel and Balint, and I infer other students too. I talk with Balint often about research. He is one of my two or three best colleagues these days. I cannot claim to be his teacher because on so many things he is ahead of me. So I have special reasons to thank you for preparing Balint so well. PS. I am excited about writing a paper with Balint. We are almost finished.